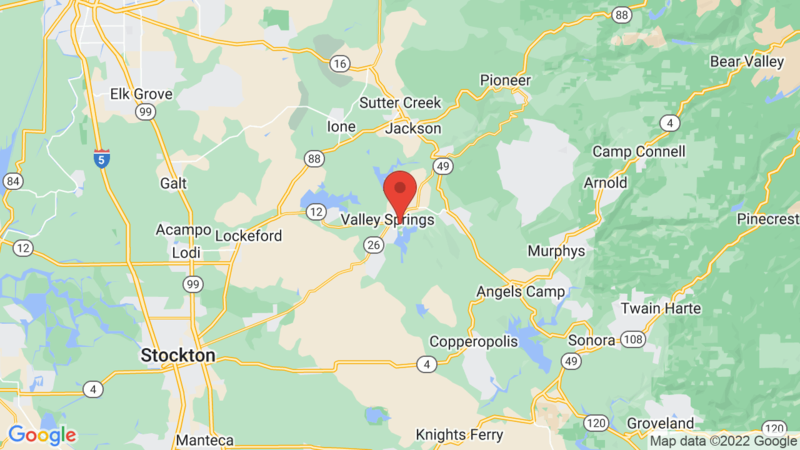 Oak Knoll campground has 50 nice sized campsites and is located on the shores of New Hogan Lake in the foothills of the Sierra Nevada Mountains. Campsites can accommodate tents, trailers and RVs. An occasional big oak tree provides shade to some sites. Each site also has a table, fire ring and grate. Campground amenities include drinking water, vault toilets and a dump station. Firewood is also available for sale from the camp host. New Hogan Lake offers 50 miles of shoreline fun for boating, fishing, swimming and various water sports. Other outdoor recreation includes hiking, mountain biking, hunting, picnicking, horseback riding and wildlife viewing. 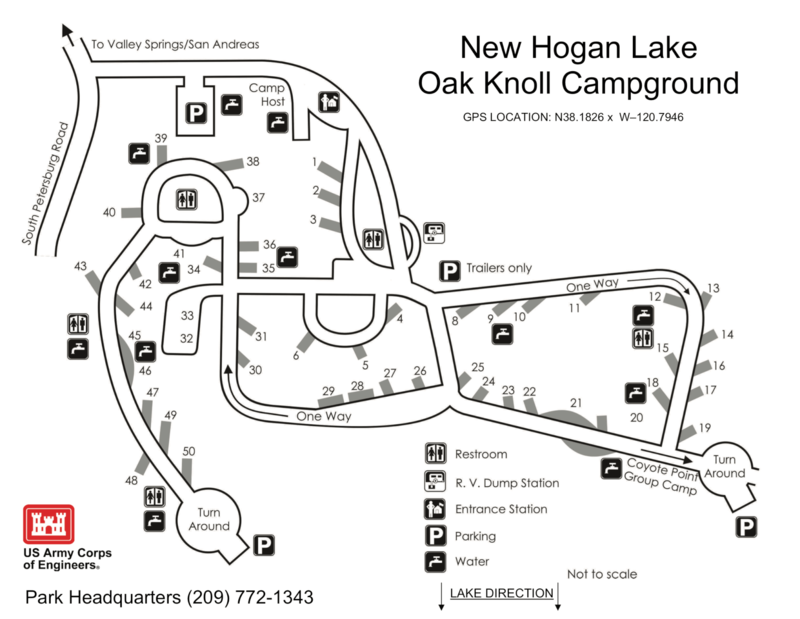 Oak Knoll campground has 50 nice sized campsites. Hiking, horseback riding and biking trails are located around the lake. Don’t forget to check out the “River of Skulls” hiking trail below the dam at the Monte Vista Recreation Area. Boat ramps are also available around the lake. You may also like Lake Camanche North campground and Pardee Lake Recreation Area campground. Visted Oak Knoll Campground lately? We'd love to hear about your adventure. Did you find us useful? Did we forget something? Anything our community should know before heading out to Oak Knoll?